About two weeks ago, Google introduced breadcrumb display URLs in the search results. It was suppose to be for "small percentage of search results" but they are showing up quiet often. Google said they are doing this for URLs that are "too long, too short, or too obscure to add useful information." So Google adds the useful information for you. Not all webmasters agree that Google is improving their URL structure with the display URL as a breadcrumb. A WebmasterWorld thread has some webmasters complaining and I know, WebmasterWorld doesn't allow examples. So for you Googlers out there that want examples, I'll give you one. 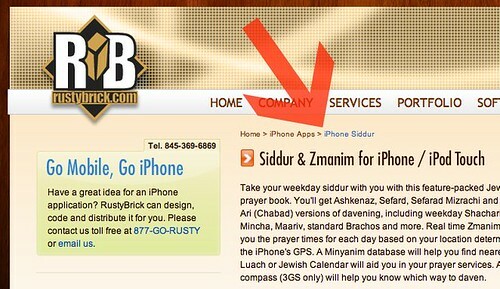 Now, it works beautifully for [rustybrick iphone] but even there, is it really needed to change the display URL from rustybrick.com/iphone.php to rustybrick.com > iPhone Apps? I am not too sure.